de faire quelque chose. " the world would still be an idea "
Épimède, what about us ? 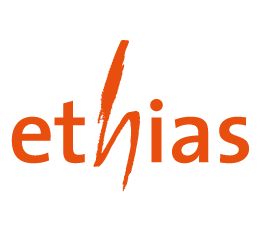 Ethias, life and non-life insurer, commits to a relationship which is mutually advantageous with its partners of public sector and its agents, with companies and with private individuals who trust it. It commits to providing them first-rated products and services with the best quality-price ratio in order to guarantee sustainable profitability in accordance with its fundamental values of humanism, ethical, commitment and proximity. Integrale is a company created in 1925 and specialized in life insurance management of 2nd and 3rd pillar. A quality and tailored service offered to affiliates. 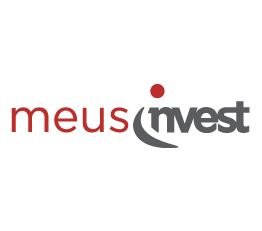 Meusinvest is a financial tool which structured its activity in different subsidiaries in order to meet the financing needs of companies (SME) located in the province of Liège. 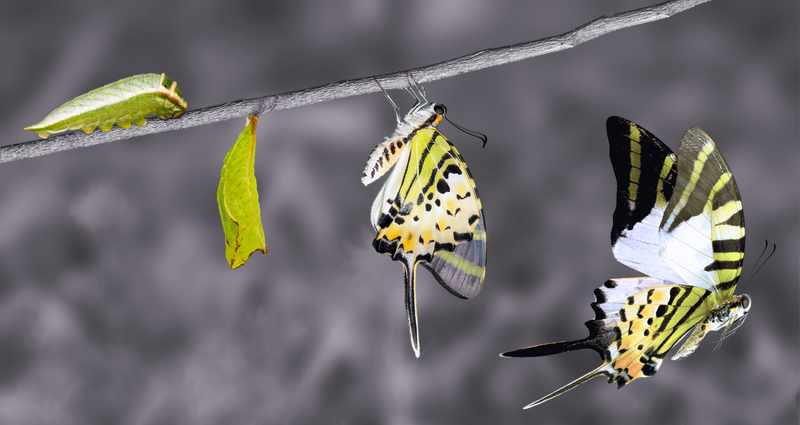 Each subsidiary has its own skills to be able to act at all stages of the company life cycle, from their creation, their development to their transmission. Each offered service proposed by Meusinvest (capital – loan – leasing – short-term credit) is always determined by demand and manager-investor's needs. The goal is to act as a leverage effect on the growth process of the company. 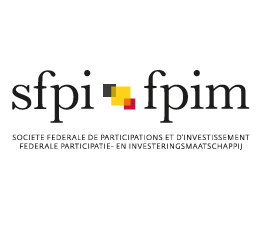 SFPI-FPIM is a private company of public interest with the Belgian Federal State as sole shareholder. 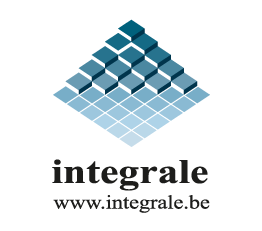 Its main mission is to promote public economic initiative, to support private companies contributing to economical policy of the Belgian State and to provide advices to Federal Government. To achieve this mission, it manages its investments and shareholdings through a close relation with the management and the other stakeholders and through a strong representation in the Boards of directors. As public shareholder, SFPI-FPIM must always find a right balance between financial constraints and societal goals in the medium and long term (patient capital). Active since 1982, a branch office of BNP Paribas Fortis is entirely dedicated to private equity transactions. BNP Paribas Fortis Private Equity takes minority equity positions in and provides mezzanine financing to medium-sized companies with a motivated and experienced management team, a strong market position and attractive growth potential. 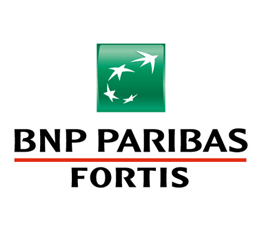 BNP Paribas Fortis Private Equity may also work alongside other co-investors to jointly acquire a majority stake, for instance in a buy-out. The link with the BNP Paribas Group also enables companies to benefit from a broad international network and a large range of financial products and services. Épimède capital is a private fund (PRICAF under Belgian law). It aims to invest in private capital, non-listed, of high-growth technological SMEs. Our strategy focuses on promising companies in early stage phase whose growth potential is demonstrated or in effective growth. Funds raised have to be invested in priority in the financing of growth accelaration. 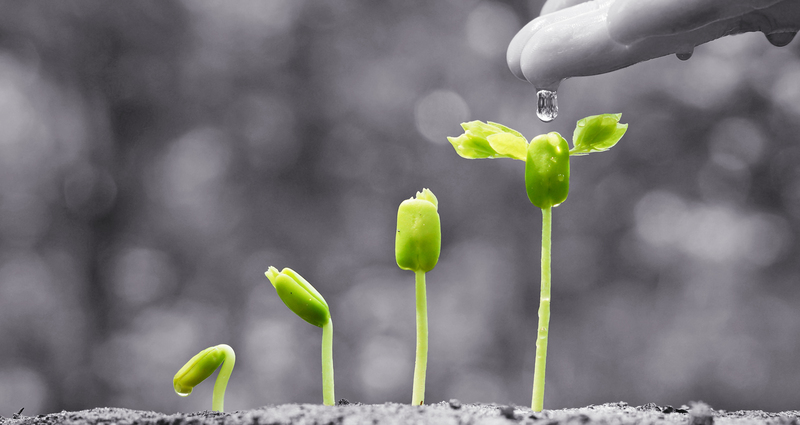 We give priority to partners we can bring a real added-value in terms of growth support. As such, Épimède will play an active role within the Board of Directors of the target company and will take part in the control of key, strategic decisions. The amounts raised from Épimède have to be mainly attributed to the subscribtion of new equity. We are supporting the best and most ambitious entrepreneurs. The Épimède team has a strong experience in terms of strategy and business development of a technological nature. His passion is to work with entrepreneurs Épimède is partnering with in order to build a coherent business vision with an ambitious growth strategy, realistic and in line with means. Our support is based on solid expert and experience but also on a well-developed network of contacts. This support will potentially be useful to help our entrepreneurs to refine their strategy related to key activities, product positioning, services, production, financing, marketing, recruitment, intellectual property management and internationalization. Our approach is based on a constructive dialogue and positive challenge. A scientific board that advises Epimède about all investments concerning "Life Science". Marc Moles le Bailly has a Master degree in Economic Sciences of ULB. He has been responsible for asset management at AGF before joining the "Caisse Privée Banque" as responsible for the research unit. Then, he joined the Nagelmackers Bank in 1996 at the head of the Asset Management and Private Banking. Since 2007, he is the executive director of the Belgian entity of the Edmond de Rothschild Group (Europe). 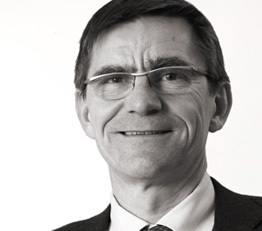 Patrice Beaupain has a degree in financial analysis at Brussels' CIAF, EFFAS certified financial analyst and chartered accountant of Liège and at the Belgian Chamber of Chartered Accountants, he holds the position of Financial Direction and Human Resources of Integrale, since 1993. He is also administrator in different real estate subsidiaries but also advisor of Integrale Luxembourg. 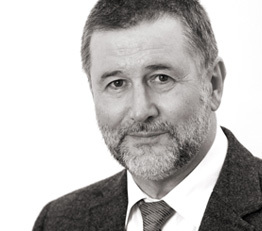 Albert Corhay is the rector of the University of Liège since 2014. He is holder of Master/Bachelor's degree in Business Management of the University of Liège as well as a Ph.D. (financial economics of the University of Cambridge (U.K.). He has been Head of Faculty of the management department at ULg during 4 years. 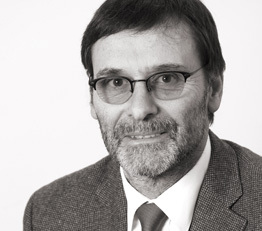 EIn 2005, he was elected vice-rector of the University of Liège, he was holding this position until 2014. Alain Delatte is commercial engineer from HEC-Liège. He holds the position of Finance Manager at Ethias S.A.
François Fontaine has a master in Law and in Tax Law. After having worked at the Belgian Parliament and within federal and regional ministerial cabinets, he joined the SFPI in 2009 to act as a general advisor. In addition to management of financial assets and participations that SFPI has in the medical and biotech sectors, he deals with subjects that are related to energy, water, real estate and waste treatment. He is administrator in different companies or investment funds. Gaëtan Servais holds a Master's degree of Economic Sciences of the University of Liège. He shows a particular interest in economy, econometrics and business. His skills in economy contribute to development cooperation missions for several reputed institutions. Then, he has been called up at the heart of several ministerial cabinets in which he quickly has been in charge of challenging projects. He is now in charge of the General Management of Meusinvest's public investment fund, which supports financially more than 330 companies. At the same time as this mission, he is Manager in different companies. Great enthusiast of the arts and popular culture, he is also President of the music festival "Les Ardentes" and Manager of the Music Board. His involvement is a heart choice too. Raf Moons has a PhD in physics from the University of Leuven. He also holds an MBA ( Vlerick - KU Leuven). After his research assistant career at KU Leuven, he started at Imec as business development manager. 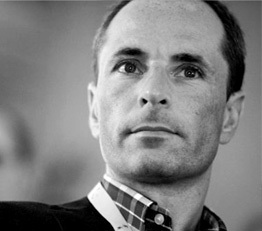 In 1999 he joined VIV, the venture capital fund associated to Generale Bank. He is currently investment director of BNP Paribas Fortis Private Equity where he is among others responsible for the portfolio management of investment funds for university spin-off. 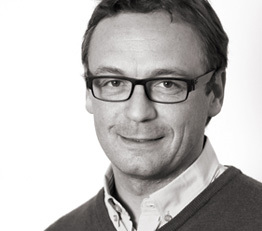 Marc Foidart holds a Master in Management Studies from the University of Liège. He started his carrier as a project manager within Arcelor group before moving towards SEED (which became Cide-Socran) since its creation. Then, he becomes top manager at Meusinvest. At the same time, he got involved in several transactions type buyout on behalf of active companies in the Life Sciences' sector. He has a substantial experience in developing investment for technological start-ups, especially in the Life Sciences' sector. 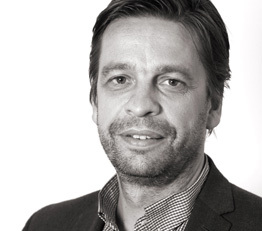 Philippe Degeer (Engineer Gramme and MBA London Business School) first worked for a SME in the Liège region and then has developed his career within Goodyear Dunlop multinational. He was leading important subsidiaries before becoming vice-president of the Europe Africa and Middle East group. At this position, he has overseen the setting-up of performing innovation processes, international development policies and marketing strategies BtoB and BtoC. He has also established a corporate governance oriented towards investment and growth. 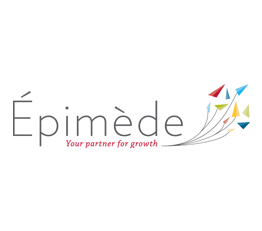 Within the EPIMEDE team, Philppe essentially acts on projects that are related to Engineering Sciences, strategic issues and corporate governance. Bernard Surlemont (MBA and PhD in Strategic Management INSEAD) is professor specialized in entrepreneurship at the University of Liège. He is co-founder of SEED (which became CIDE-SOCRAN), but also of the Master HEC-ULg Entrepreneurs, the E-Capital I entrepreneurs fund, the business growth academy, the ID Campus' creativity platform and the incubator for students, VentureLab. Specialized in entrepreneurial finance and university spin-offs, he is often consulted for seeking financing and companies' growth strategy. He has contributed to the launching of many technological start-ups, Mithra Pharmaceuticals for example. 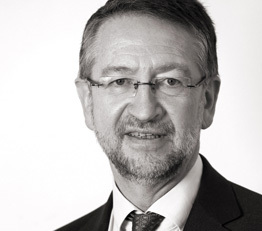 Within the EPIMEDE team, Bernard Surlemont acts as a support in investments negotiation, strategic consulting and investment exits management. 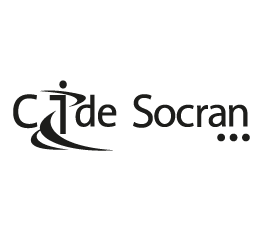 Cide-Socran is the support organization which oversees creation and development of projects and innovative or high growth potential companies in Wallonia. Its range of services aims to reduce doubts, both in financial or commercial terms, which are related to development and launching of new products and services on the market. Our services: Market studies, financial plans, business plans, specialized consulting missions, development of innovative or high-tech projects, but also specialized missions such as operational interim, consulting services, financial management, etc. 90 % these realized missions by Cide-Socran concern innovative technological areas such as life sciences and engineering sciences. 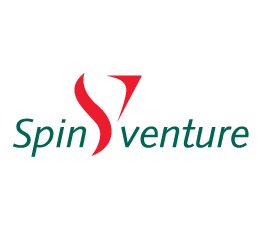 Spinventure is the venture capital funds of the University of Liège, result of the collaboration between Gesval, ULg's technology transfer company and Meusinvest group. With 18 million euros at its disposal, these fund supports creation and development of spin-offs which are focusing on development and commercialization of results from researches led by ULg, as well as the University hospital of Liège. Since its creation in 1999, Spinventure has supported more than 70 spin-offs in the Liège region. Currently, Spinventure has 56 spin-offs in portfolio. That represents almost 11 million euros invested, whose 87 % are in capital. That shows the role of capital risker played by SpinVenture. Joseph Martial is honorary professor at the University of Liège. He is founder and former president of GIGA-ULg (Interdisciplinary group of applied and genomic/proteomic, which gathers 550 scientists dedicated to research). 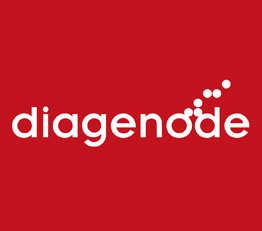 He is also co-founder of Eurogentec and board chairman of Diagenode since 2007. Since 1992, he is a member of the Royal Academy of Sciences, Letters and Fine Arts in Belgium. Professor Martial is a member the Board or Scientific Committee in several start-ups. 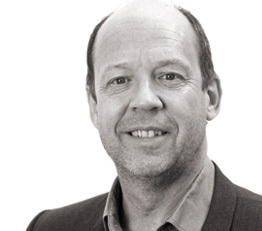 Professor Jo Bury is managing director of the VIB (Flemish Institute for Biotechnology) and before that he was managing director of the VLAB (Flemish Action Program in Biotechnology). He graduated in pharmacy and holds a doctorate in pharmaceutical sciences of the University of Ghent. He obtained a MBA at the Vlerick School. After having conducted scientific research in the area of atherosclerosis during several years, he continues his career in scientific policy. He has a sharp expertise in the evaluation of scientific programs related to biotechnology and financing of start-ups. Professor Jean-Pierre Kinet is Manager in the division of Allergy and Immunology and professor of pathology at Beth Israel Deaconess Medical Center and at Harvard Medical School. Professor Kinet is the author of more than 190 publications. He is well known for his discovery about gene and protein characterization which encode the IgE receiver/receptor of high-affinity, a key to cause allergic reactions. He is a member of the American Foundation of Asthma and foreign member elected from the Royal Academy of Medicine in Belgium. Doctor Kinet is also a member of the scientific board of UCB Pharma and of several biotech companies. He is co-founder of AB Sciences and president of iXLife, a private investment funds which is dealing with 4 biotech companies. 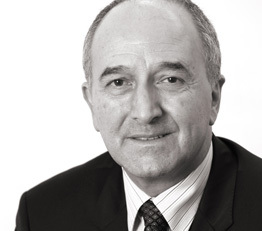 Jean-Michel Foidart is honorary professor at the University of Liège, former president of GIGA, of research-ULg. He is co-founder of Mithra and Uteron. Doctor Honoris Causa of the University Paris V Marie-Curie-The Sorbonne, and Paul Sabatier from Toulouse. Member of the Academy of Medicine in France and Belgium. 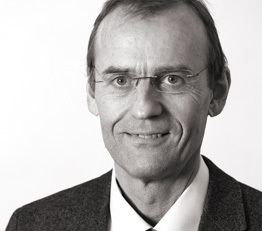 Professor Foidart is a member of the Board of Directors or Scientific Committee in several start-ups. 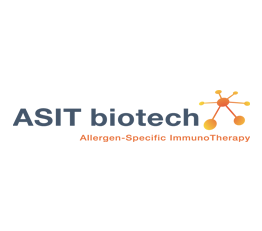 ASIT Biotech SA is a biopharmaceutical company in the clinical phase, which is focused on development and commercialization of new immunotherapy medicines for respiratory or food allergies based on a technological platform ASIT+TM (Allergen Specific Immunotherapy). This platform enables to produce and characterize new active principles for immunotherapy of allergy. Thanks to an improved security, these new active principles can be injected faster at the highest dose, which enables a treatment reduced to one month. ASIT biotech approved technological platform and therapeutic approach with a pollen allergy treatment, now in phase III and dust mites allergy treatment ready to enter the clinical phase. NOVADIP Biosciences is a biopharmaceutical company which is focused on THE development and production of innovative substances in regenerative medicine. CREOST® product developed by the company, is composed of autologous stem cells (taken from patient in need of treatment) of adipose origin (fat tissue) which enable to create an easily implantable graft in a patient during a bone reconstruction. Innocuousness and effectiveness of CREOST® have been validated thanks to pre-clinical and clinical models. 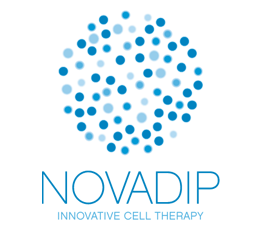 NOVADIP Biosciences aims to highlight all cell therapy projects which are focused on the use of stem cells which come from adipose tissue. Stem cells contained in abundance are accessible through minimally invasive procedures and can be differentiated in many phenotypes (cellular-type), whose osteoblasts are the main cells which synthesis bone. NOVADIP Biosciences is currently concentrating its development efforts on varied indications of bone reconstruction. Molecular diagnosis, in the form of kits for laboratories of clinical biology. Technology, real-time PCR (Polymerase Chain Reaction) enables to identify and quantify target DNA, especially for diagnosis of infectious diseases. 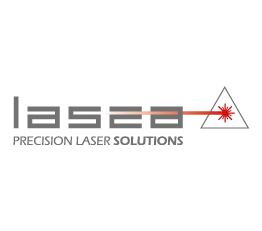 Lasea is specialized in the design and manufacture of extremely precise laser micro-machining machines (up to 0.2μm). It uses, among other things, femtosecond laser, which allows the ablating of materials without thermal effects in order to achieve precision and qualities still unrivaled with conventional technologies. These lasers are integrated in their machines equipped with 2D and 3D scanners, linear axes or robots, and measuring and vision equipment. Active in 27 countries and 4 continents, it has subsidiaries in Bordeaux, San Diego and Biel. Its headquarters is in Belgium on the Liège Science Park. The applications for the most demanding industries (medical, pharmaceutical, electronics and luxury) are numerous: cutting, marking, etching, drilling, ablation of thin layers and texturing. Very active in the sectors of watchmaking, medical implants and pharmaceutical traceability, it has already installed more than 250 machines in the world (systems and production lines operating 24 hours a day) for prestigious references. Ncardia believes that stem cell technology will help to get better medicines to patients faster. The company develops, produces and commercializes highly predictive human cellular assay systems for safety and efficacy testing. The cardiac product portfolio encompasses a broad panel of stem cell derived Cardiomyocytes (Pluricyte®, Cor.4U® and vCor.4U™) as well cardiac fibroblasts (FibroCor.4U™). In addition, the company delivers the Cardioplate™ product line of quality controlled ready to use assay plates. The neural cell portfolio contains the pan-neuronal product CNS.4U®, the peripheral neurons product Peri.4U®, and astrocyte product Astro.4U®. Ncardia is committed to deliver its clients working assays solutions through in house assay development and extensive support. The company has a wide range of supported applications and compound assay services such as of electrophysiology, biochemistry and contraction based assays for predictive safety pharmacology and toxicology testing. In addition, Ncardia develops and provides its customers with a broad portfolio of cardiovascular services from disease modeling to cardiovascular drug efficacy screening. 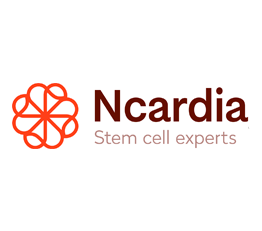 Ncardia is based in Belgium, the Netherlands, Germany and in the USA. Oncoradiomics SA, was founded in 2016. It focuses on development of radiomics tools with the aim to provide clinicians and researchers deeper insight into the information embedded in medical images in oncology. As genomics revolutionized personalized medicine, Oncoradiomics focuses on developing individualized approaches based on standard-of-care medical images. 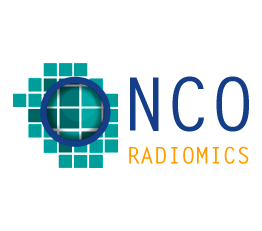 The company’s first product platform is the CE certified radiomics toolbox RadiomiX: a platform for the high-throughput mining of quantitative image features from (standard-of-care) medical imaging for knowledge extraction and application within clinical decision support systems to improve diagnostic, prognostic and predictive accuracy. RadiomiX exploits sophisticated machine learning and the exponential growth of medical imaging data to develop and validate powerful image-based signatures/models for precision diagnosis and treatment in medicine. The company’s ultimate goal is to allow earlier diagnostics of cancer and/or improved selection of cancer therapy thereby achieving higher quality care for cancer patients while minimizing total treatment cost at the same time. Hence, RadiomiX signatures are developed and validated in oncology, as well as continuously updated and refined to increase performance, by the globally scalable encrypted privacy preserving network named DistriM – another key strategic asset of Oncoradiomics. The company focuses on medtech and pharmaceutical industries and is currently closing partnerships to scale up its activities geographically and into other disease areas. Wishbone goal is to revolutionize bone regeneration for dental implants by developing superior bone graft substitute products with breakthrough technology and innovative procedure. 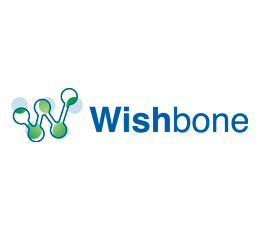 The guiding light of the genesis of Wishbone is to design and fine-tune a high-tech recipe to extract and inactivate all proteins, including prions, from bovine bone, but which would preserve the highly osteoconductive micro and nano-topography of the natural bone. Wishbone biomaterials result from the collaboration between chemists, biomedical engineers and clinician experts in dental tissue engineering. Wishbone has invested in a high tech facility for R&D, production and QC, including a qualified ISO 7 cleanroom, located in Flemalle. The company is ISO 13485 certified and is working on the CE certification and FDA approval of its first product. 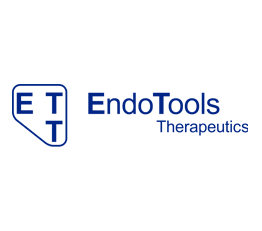 Endo Tools Therapeutics (ETT) is a medical device company in commercial start-up phase. ETT specializes in the design, development and commercialization of innovative medical devices for gastroenterology. The developed products allow to extend the therapeutic possibilities by the natural ways by allowing complex gestures impossible with only an endoscope. ETT is thus a precursor in the development of new treatments by minimally invasive surgery or flexible endoscopy. To date, 2 products developed by ETT have obtained CE marking, " Endomina " and " Tapes ". Tapes is a suture tool that allows you to affix tissue in the digestive tract. The company is currently working on adopting its technologies as well as developing new devices for other uses and other intervention sites. The developed devices have been used in several cohorts of patients and two articles describing the procedures and first results in the field of obesity have been published in 2017 and 2018. Further studies are under way, in the field of obesity and other indications. ETT is based in Belgium and is ISO 13485: 2016 certified. Maximum 7.000.000 € (7 million euros). Global amount invested in each project will not exceed 33 % (thirty three percent) of the subscribed capital amount increased by amounts given by shareholders, that is to say all means that are made available by Épimède. We give priority to companies which have their head office or main operational office in Wallonia. Companies, at the time of initial investment, must (a) have less than 500 (five hundred) employees, (b) net capital assets in the balance sheet which are not exceeding 75.000.000 € (seventy-five million euros) and (c) be self-employed, that is to say not being hold up to a limit of more than 33 % (thirty three percent) by a non-SME. Privileged sectors concern life sciences (Biology, Biotechnology, MedTech, etc), engineering sciences (NTIC and Cleantech) and corporate services. The company has to, in all circumstances, present a competitive advantage in terms of technology or industry. Have reached the Break-even (ideally demonstrated profitability and positive cash-flows), excepted for companies active in the sector of life sciences. Opening of the existing shareholders to dilution. Agreement on the principle of a possible evolution of the managerial team composition. We have the deep conviction that a successful partnership is based on shared values and common vision. This is essential in any entrepreneurial venture, inherently uncertain, which will experience its bifurcations, falls, opportunities which will necessitate making frequent, fast and serene decisions. What is your story (Your story and your company’s story)? 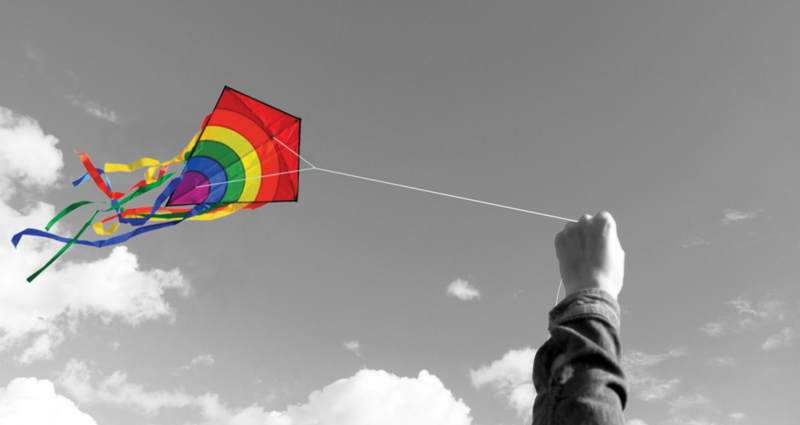 What specific need of the market are you focusing on? Why is this solution unique or differentiated against other existing solutions on the market? How do you estimate your company’s development potential? What for will you use these amounts? We invest in your project. A due diligence made in full collaboration and transparency. (PRIVATE PRICAF UNDER BELGIAN LAW), limited company.